This photo was taken on November 27, 2012 at 11:40am. The "Take It!" came from the beauty of the glass work in this very special bowl. 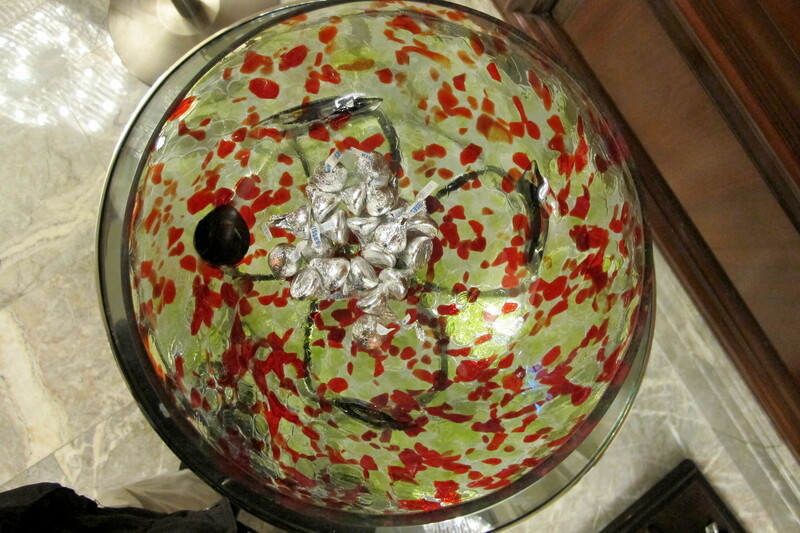 I do not know why the occasion for the candy but the bowl was all that was needed. I took a series of shots each getting closer. The After Take: This was almost shocking. In the upper featured shot one can see a reflection in the upper right of the bowl that looks like a profile in the glass with a white face staring out of the back of the head that is in profile. The eyes in this back face look angry. 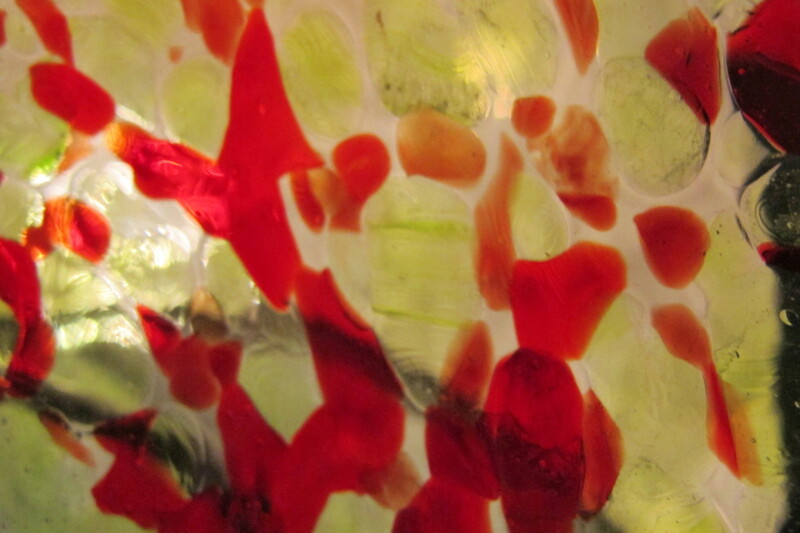 The second shot is easy to look at and the red color infused into the glass almost looks like flower petals. The third shot where the red is maginified I have been told looks like blood. All I can say is that this is one of the biggest turns of perceptions I have ever encountered. Perhaps I should have just been satisfied to take some photos a bit further away and not include some reflections (but then - that would have taken away all the fun - lol). Here is hoping you will take some time to take a closer look at what may interest you, for one never knows what may be lurking in there. Thanks for joining us for the current photo presentation. You are cordially invited to return Tuesday, January 29th for a new picture that we hope you will enjoy. Too be honest the glass would've taken a back seat to the free candy for me! It looks like blown glass, and it is beautiful. Was the bowl empty as you left? Cereal bowl of the gods! 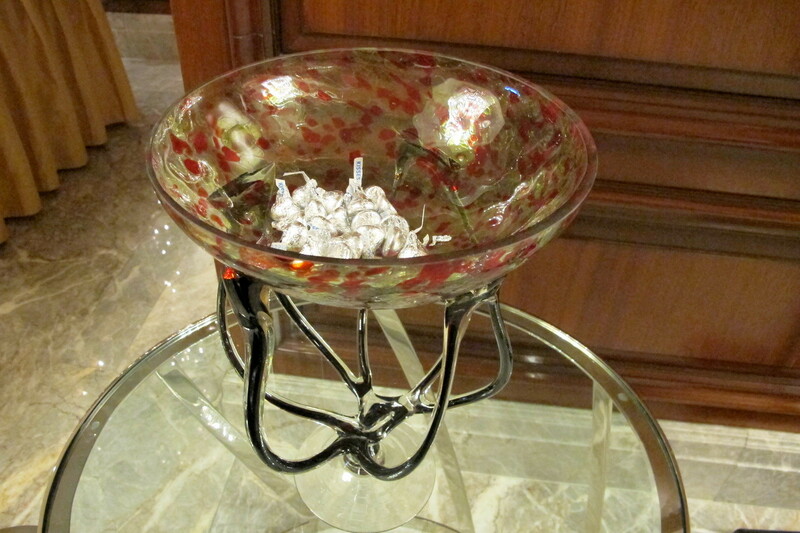 I am glad so many of you found the bowl to be attractive - some for its aesthetics - others for its contents - lol. Even though I was tempted - I only took photographs and left the candy for others. I am looking forward to see the presentation of candy later this year for Halloween.